FRANKFURT -- Daimler has joined German finance and publishing firms in talks to form a European company to store personal data securely so customers can make purchases online from different outlets without punching in their details each time. The plan mirrors an initiative in the U.S. by Facebook, which created Facebook Connect to allow logging on to multiple sites with a single identity. 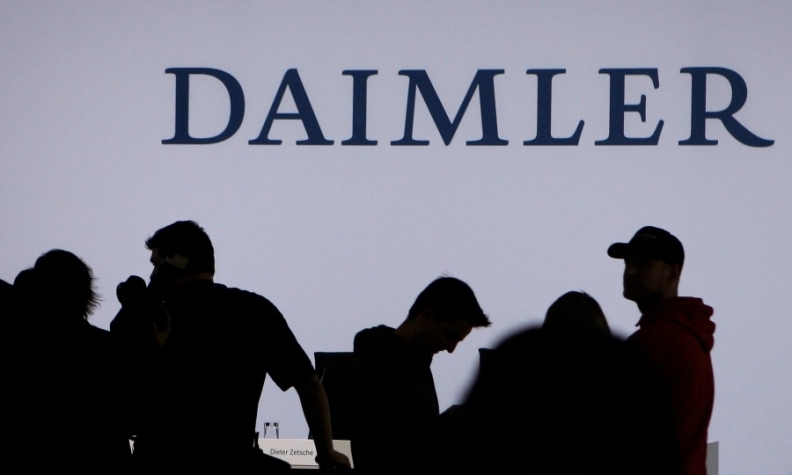 Daimler, Allianz, Axel Springer, Deutsche Bank, technology think-tank Core, and location services provider HERE Technologies signed a declaration of intent to establish a platform for registration, e-identity and data services, the firms said on Monday. "The idea behind the cooperation is to provide a competitive, European response to the platform economy's main players," the companies said. Responding to concerns about privacy and security, the group of companies said the new venture "aims to guarantee the highest standards in data security and data protection." The European initiative was still several months away from being launched, but the group of companies is announcing their plans early in order to attract more partners. When making purchases online, consumers using the new data store would provide a so-called master key to sellers of goods and services to unlock personal details needed for the transaction. "We Europeans must at last fully play out our strengths in digitalization," said Christian Sewing, Deutsche Bank's deputy CEO. "The time is ripe for a platform initiative of this kind. It will increase legal certainty for clients and boost the European digital economy's growth," he said.